Are you dreaming of exciting slopes and fast downhill runs? Maybe surrounded by an extraordinary mountain panorama? Make your dream come true and come to the Hotel Rosenheim, your comfortable ski hotel in South Tyrol, to indulge in your favourite winter sports. In our ski and alpine region Gitschberg Val Giovo, you will find boundless skiing fun – Here, we have the right offer for all requirements. Furthermore, we are very conveniently situated, thus, from our location in Rodengo you will have quick access to the most beautiful ski slopes in South Tyrol: Next to Gitschberg Val Giovo, you may also visit other popular ski resorts, such as Mount Plose, Plan de Corones, Racines and Dolomiti Superski – they are all within easy reach from our house. 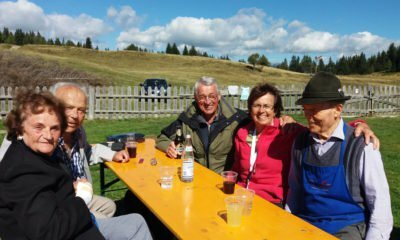 Gitschberg Val Giovo – located at the entrance of the Pusteria Valley, from where you can look across the Isarco Valley – will offer you a perfect ski holiday. Furthermore, also snowboarders will find ideal conditions. Here, on the southern hills of the Fundres Mountains, there are 44 kilometres of slopes – with snow guarantee up to altitudes of 1300-2500 meters. Overall, 16 modern ski lifts will take you and your family to the top. You will also find many excellent training slopes, because in Gitschberg Val Giovo, international top teams practice the ski disciplines slalom, giant slalom and Super-G. These regular international guests appreciate the high quality of our slopes. 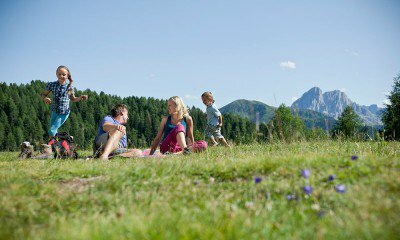 Throughout Italy, the winter sports region Gitschberg Val Giovo is considered particularly family-friendly: There are three children’s parks, two snow parks for the entire family and a kite area. 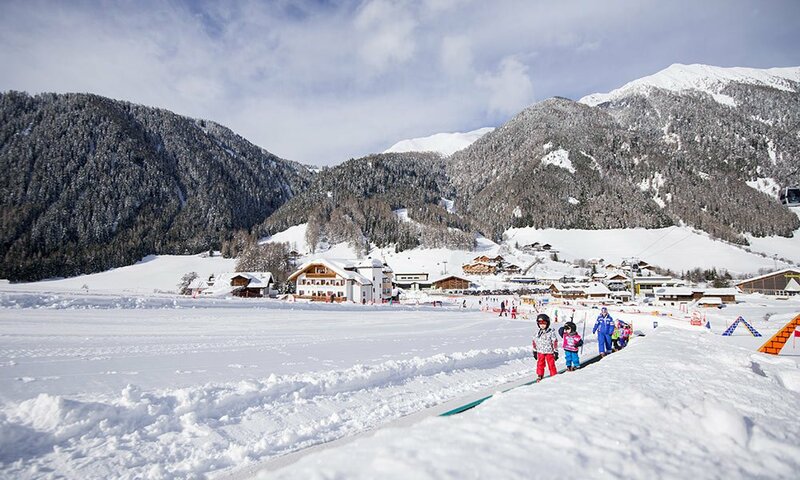 Our two ski schools feature the award “child friendly”. 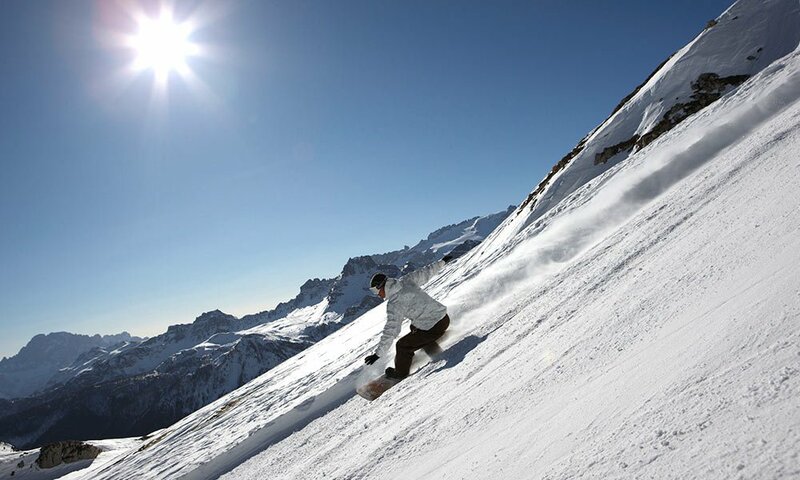 Furthermore, our ski area is popular for its stunning panoramic views of 500 alpine peaks. On the panoramic platforms Steinermandl, Gitschberg and Cima Lasta, you may admire this great vista. Our ski hotel in South Tyrol offers you a nearby home for the time of your winter holiday.